Thanks to a recent discovery. If you’re a sucker for coral reefs, we’re guessing that the big-name destinations (the Maldives, Fiji, Australia) are already on your wish-list. But what would you say if we told you that Puglia, Italy deserved the number one spot? The popular coastal town of Monopoli is now home to Italy’s first coral reef. According to The Local, researchers discovered an unusual reef in the Adriatic Sea that is most commonly found near tropical islands in the Caribbean. Sitting at a depth between 90 and 180 feet below sea level, the mesophotic reef (a rare reef that can survive in low levels of light) spans 1.5 miles, though researchers believe it could stretch the coast, and is comprised of muted shades of orange, red, and purple. While this deep blue discovery is certainly exciting news for divers, it’s also an excuse for serial wanderlusters to explore little-known coastal Italian towns that aren’t Positano. Along with the newfound coral reef—which is expected to come under marine protection soon—travelers will find plenty to do and see inland, like strolling along the Lungomare with a gelato in hand, admiring the Monopoli Cathedral, or playing dress up at Palmieri Palace. 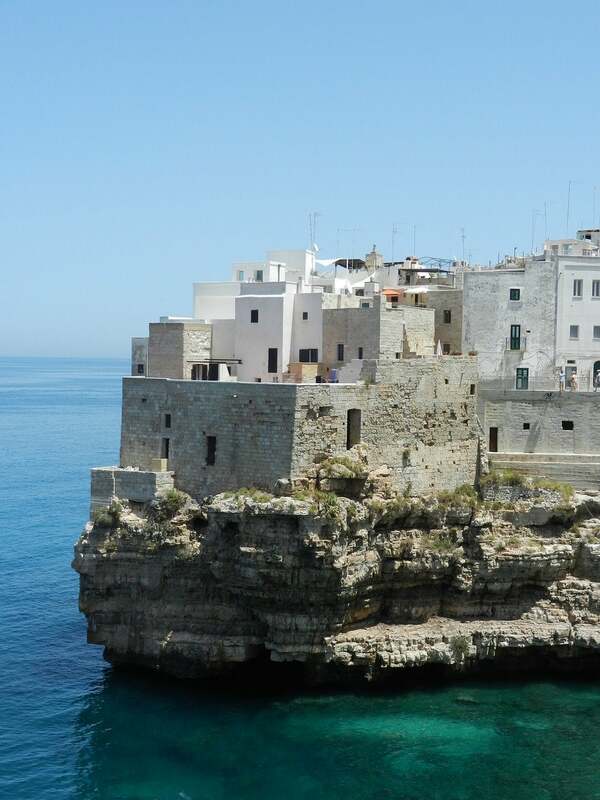 What’s more: Monopoli’s close proximity to other trending areas make it one bookmark for an Italian road trip. Here are three destinations we’re adding to our summer itinerary. Before you take your sea legs for a whirl, get your steps in at this rocky hillside town. Known for the complex system of cave dwellings that flank the mountainside, newcomers can expect to eat, drink, sleep, and even view art from the comfort of dark stone dwellings. Dubbed the Florence of the South for its incredible and historical structures, Lecce is a hidden haven for architecture geeks. Add the Basilica di Santa Croce, Porta Napoli, and the Duomo to your must-see list while you’re there. If your version of summer in Italy primarily consists of wandering maze-like alleys and browsing local fruit at the Saturday market, your search ends here. Just five short miles from the Adriatic sea, this white hilltop city might be one of the more popular cities in the area, but there’s no shortage of hidden alleys, archways, and stairwells to seek a moment of solace.